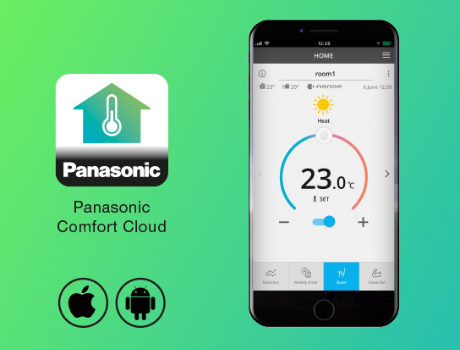 Control air to air heat pump with Panasonic Comfort Cloud with full functions available in the unit plus additional functions only available trhu the Cloud from wherever and whenever. One user can manage up to 200 units and also set up different user and rights. 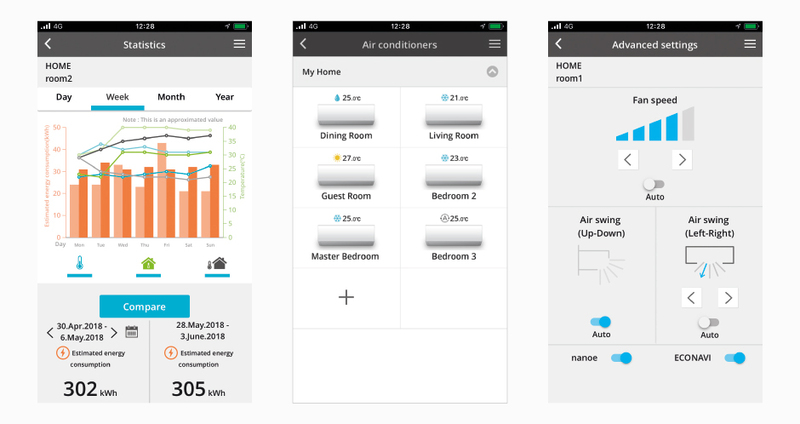 Also energy monitor is possible giving the chance to learn how to reduce even more the operating cost. All on/off at once. For sites with more than one unit in one site, user can turn them all on or off with just one click. Set weekly timer. Set up to 6 events per day, 42 in a week, easy, intuitive and fast. Pre-heat or cool. 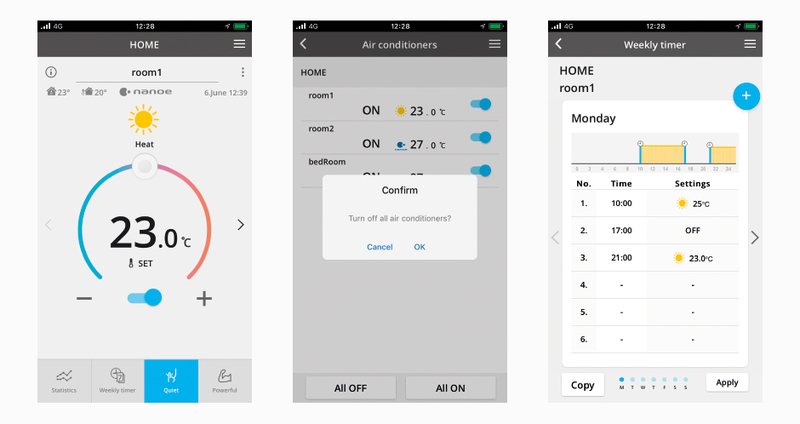 Control your house or office comfort – before you arrive! Error code notification. If trouble occurs, error notification or maintenance code is shown. Estimated energy consumption data accuracy is depending on power supply quality.